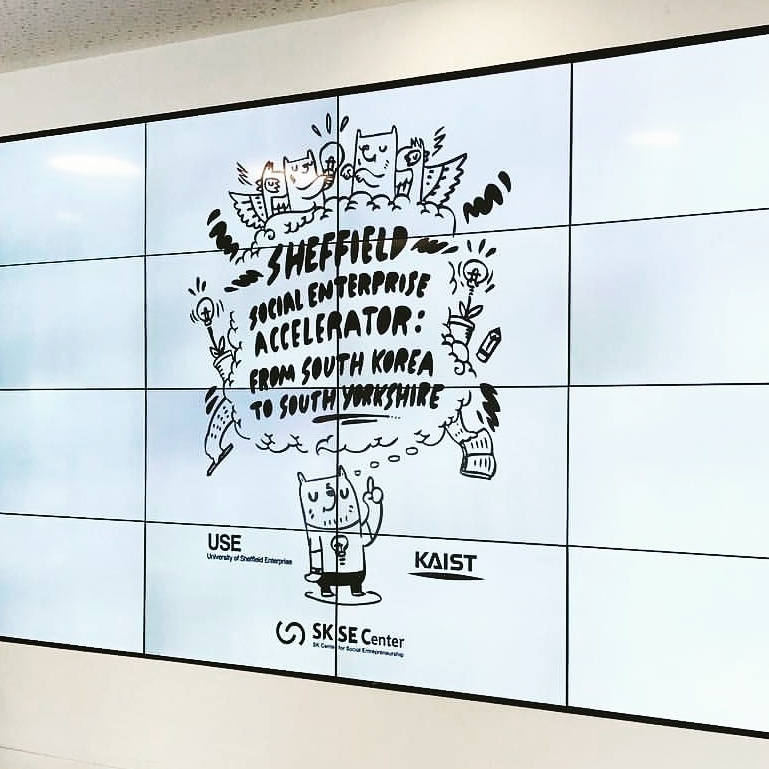 there's also a cultural difference as to what constitutes a 'social need' in South Korea that the UK would struggle to recognise as being relevant for a social enterprise to have as its mission, but perhaps this echoes some of the confusion we still have here in the UK as to the different ways in which we define and recognise a 'legitimate' social enterprise by the forms it can adopt? Many also seemed to espouse a new mantra that we mentors think may be attributable to their session with Nick Temple of Social EnterpriseUK - J.F.D.I. "As we all came to realise, Adrian is very humorous"
it helps to identify potential future customers who benefit from what we do, but aren't paying us! 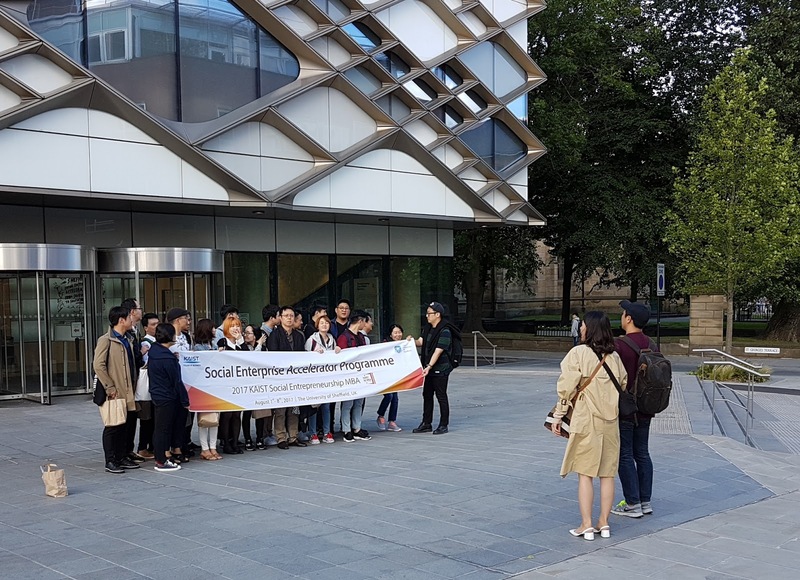 so perhaps as a sector, social enterprise has more 'common currency' globally that it might think it has - but how can we encourage and support that? 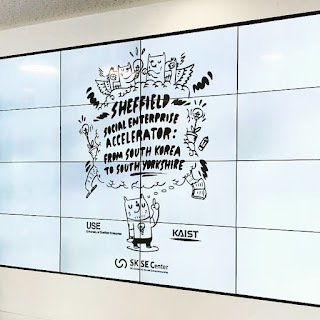 Initiatives such as this that are hosted by Sheffield University are by far the exception, but all involved recognise the immense value it offers to everyone who was a part of it.